Mifflin County’s Derek Burk, top, puts Seneca Valley’s Rian O'Shea on his back in the 126-pound bout Thursday in Hershey. HERSHEY — Mifflin County has survived the still young wrestling postseason by being gritty. Not just gritty like Gritty, the odd but popular Philadelphia Flyers mascot. No, they’ve been gritty like a cleanser designed to scour a dirty sink, and until Thursday, the Huskies were cleaning up whatever was thrown in their way. Seneca Valley, though, was a stubborn stain, one that wasn’t going away no matter how hard Mifflin County worked. 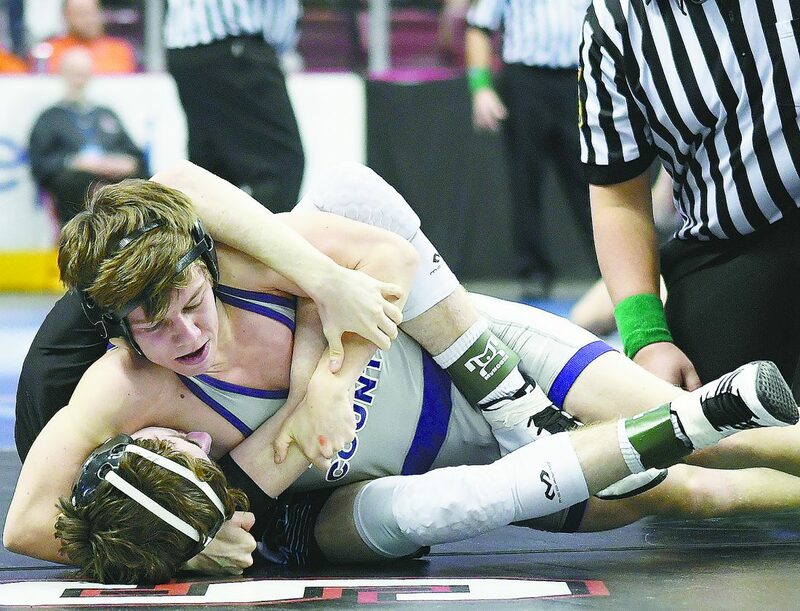 The Raiders had the strength and the depth to move on from the first round of the PIAA Class 3A team wrestling championships, handing the Huskies a 35-24 loss at Hershey’s Giant Center. 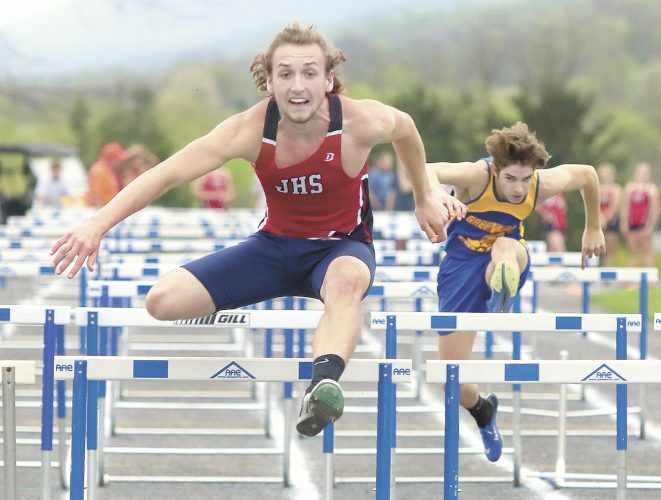 “They’re the second-place team out of the WPIAL. The WPIAL has outstanding wrestling. 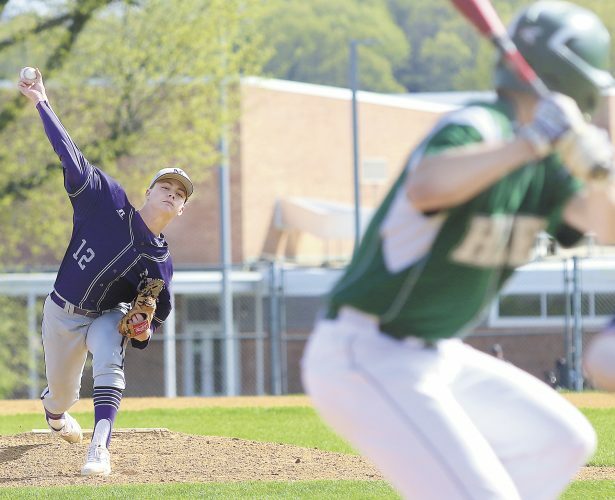 We knew we were going to get a good team,” Mifflin County coach Kirby Martin said. The Raiders took an early lead with wins at 113 pounds and 120, the former a fall against Cade Rishel, winless with limited mat time this season, then a good effort in a loss by returning state medalist Christian Fisher. Fisher held defending state champ (106) Alejandro Herrera-Rondon to a decision. Herrera-Rondon improved his record to 37-1 and defended his No. 1 ranking. After Derek Burk got the first win for the Huskies — a gritty 10-4 decision — Ethan Kauffman and Kyler Everly each gave up 7-1 decisions before Trey Shoemaker, the hero in the district final, couldn’t handle the horsepower on top by Antonio Amelio, who cruised to a 16-0 technical fall. Anson Wagner was pinned at 152 by Trey Kibe got those six points back at 160, building a major-decision margin over Michael Adamson before showing him the bright lights of Giant Center midway through the bout. Trailing 26-9 with wins in just two of eight bouts wrestled, Martin made the decision to shake up the lineup enough to make a difference — just, the Huskies eventually learned, not enough of one. Hadyn Crum, who saw time earlier in the year, went in at 170. Although he lost a decision, the next two favored the Huskies. Brycen Hassinger put Mifflin County back in it, tossing Patrick Johnson 6-0 at 182. Jacob Krepps edged Davin Beahm 9-7 at 195, making the team score 29-15. 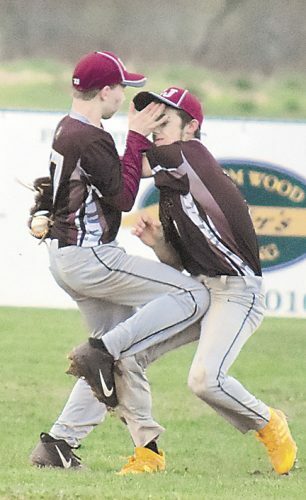 But the Raiders’ Nick Funovits flattened Grassmyer to put the win out of reach for the Huskies. Mifflin County’s Blaine Davis (pin) and Nic Allison (decision) accounted for the last team points in the dual. Oddly, Mifflin County had more takedowns than the Raiders in the loss, winning that battle, 15-14. On the next mat, Bethlehem Catholic demolished Boyertown, setting up a meet in the consolations this morning between the Bears and Mifflin County. Wrestling starts at 10 a.m.
113: Dylan Chappell (SV) pinned Cade Rishel (MC), 3:01. 120: Alejandro Herrera-Rondon (SV) dec. Christian Fisher (MC), 6-1. 126: Derek Burk (MC) dec. Ronan O’Shea (SV), 10-4. 132: Jason Guyer (SV) dec. Ethan Kauffman (MC), 7-1. 138: Drew Vlasnik (SV) dec. Kyler Everly (MC), 7-1. 145: Antonio Amelio (SV) technical fall Trey Shoemaker (MC), 16-1 (4:37). 152: Nick Montalbano (SV) pinned Anson Wagner (MC), 1:09. 160: Trey Kibe (MC) pinned Michael Adamson (SV), 3:07. 170: Liam Volk-klos (SV) dec. Hayden Crum (MC), 3-0. 182: Brycen Hassinger (MC) dec. Patrick Johnson (SV), 6-0. 195: Jacob Krepps (MC) dec. Davin Beahm (SV), 9-7. 220: Nick Funovits (SV) pinned Dylan Grassmyer (MC), 4:54. 285: Blaine Davis (MC) pinned Tyler Proctor (SV), :51. 106: Nic Allison (MC) dec. Hunter Swedish (SV), 8-2.